Listed below are the mystery novels of Georgette Heyer. Select any of the titles to read an extract. Although many of these extracts are favourite parts of mine, others have been entered by ListServ members. 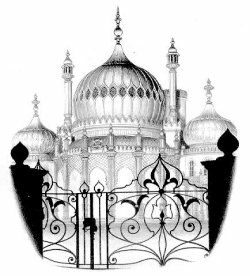 The picture of Brighton is by Arthur Barbosa and taken from Teresa Chris' book Georgette Heyer's Regency England.